It has given me heart-ache ever since the incident – every time I think about it. It was in SO MANY WAYS preventable. 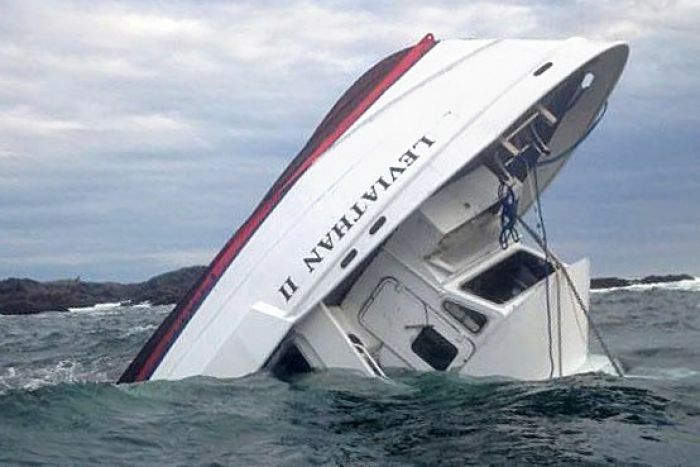 The news announcement came jarringly on October 25, 2015: A popular whale-watching boat out of Tofino, BC had been capsized, with 27 people in the water and several unaccounted for. In the end, six people died and many were injured and traumatized. I just want you to look at the following two photographs. I’m no marine engineer, but I warrant that a fourth-grader could have predicted the grim consequences of this scenario. An improvised whale watching vessel constructed through modification of a hull originally designed for towing. It was shallow-drafted and low-profile for its original intention – easy to load and offload close to shore. The new configuration for whale-watching allowed for an upper deck well above the original vessel’s original functional design (think high center-of-gravity). I don’t care what they say about the vessel having passed “stability testing” for its recent use. Just looking at it I would not have entrusted it to the new intended purpose of hauling loads of humans for marine mammal observations. THE BOTTOM LINE: Very shallow draft below the water line + very high center of gravity with the entire passenger load on the top deck for viewing = low stability. Add to that the passengers aggregated on the shore side, as the boat sat broadside to the seas for viewing pinnipeds (seals). Top it off with a not-so-rogue wave from the opposite beam from the passengers (seaward). How could a captain have NOT anticipated a capsize under those conditions. Now consider: None of the passengers were wearing PFDs (live vests); it was not required for a vessel of its class. I’m not necessarily suggesting that it should be. But the ensuing death toll once again illustrates their value. RESULT: 6 dead; 21 injured and traumatized; one valuable boat destroyed; one lucrative business vilified.